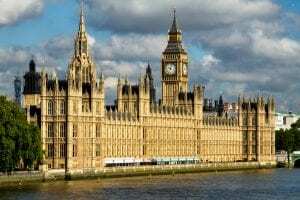 Government Unveils New Bill Aiming to "Bring An End To Domestic Abuse"
The understanding of domestic violence arose from a case in 1973, this was the first case in the UK to use the term domestic violence within its content. Unfortunately, over a decade on and this term remained undefined within government statue until 21 January 2019, which marked the unveiling of an extensive package ever to tackle domestic abuse and end the controversial practice. The government believes this new bill will ‘lead the way’ in bringing an end to domestic abuse as it will be making 120 commitments to tackle domestic abuse. The landmark domestic abuse bill is aimed specifically at supporting victims and their family and pursuing offenders, it came into force after it was reported that domestic abuse issues cost the country £66 billion a year and approximately 2 million adults experienced domestic abuse last year. The main purpose of the legislation is to help tackle the crime as it has introduced the first ever statutory government definition of domestic abuse to specifically include economic abuse and controlling and manipulative non-physical abuse. This is essential so that individuals understand what constitutes abuse and will also allow more victims to come forward as they are able to recognise what abuse is. The legislation establishes a Domestic Abuse Commissioner to drive the response to domestic abuse issues, in addition to introducing new Domestic Abuse Protection Notices and Domestic Abuse Protection Orders to further protect victims and place restrictions on the actions of the offenders, it prohibits the cross-examination of victims by their abusers in the family courts following a unanimous response to its call for evidence and stakeholder event last year. The legislation also provides automatic eligibility for special measures to support more victims to give evidence in criminal courts. It is evident the bill itself has received mix reviews from many individuals, who have expressed their views throughout the media the minister for Crime, Safeguarding and Vulnerability Victoria Atkins said: ‘This Government is absolutely committed to shining a light on domestic abuse to ensure this hidden crime does not remain in the shadows’. Women’s Aid also support the new bill as their research from last year showed the appalling attitude on how the family courts handled domestic abuse, it was reported that they were delighted that the government had listened to its ‘Child First’ campaign and introduced a ban. However, many professionals have shown concern about the costs as it will approximately cost £8m a year to fund legal representatives to prevent victims from being cross-examined by their alleged abuser. HM Courts & Tribunal Services will face a further administration cost as well. What Are Some of the Concerns Around This Bill? A Northumberland Domestic Abuse Service has shown major concern in relation to the new bill and fear that the new law won’t protect victims if the support service closes. The service is the only one in Northumberland to offer support and counselling services to children who have lived through domestic abuse, it is funded through charity grants that are likely to end in March as they were turned down from Government funding. The Service has spoken out about their concerns over the new bill and remark that, although the bill is in fact a positive step, the legislation is currently just words. Without the finances to fund proper support for victims, Northumberland’s Services point out, many of the aims of the bill cannot be achieved. Northumberland’s Services further emphasise that the recognition of economic abuse in this bill is very important as a lot of work they do involves going into rural communities breaking down stigma and taboo and helping people understand what abuse is. They believe that putting the laws in place is always efficient if there are no organisations present to provide the direct, first-hand support to victims who will come forward. This issue, they emphasise, is not limited to Northumberland. Mc Curley, a partner at north-east Ben Hoare Bell and a member of the Law Society’s access to justice committee, also showed concerns in regards to the new bill and questioned how the government plans to fund the measure, pointing out that those who do this work tend to be legal aid practitioners and, in terms of funding, the justice system has been cut to the bone. The justice system is absolutely at breaking point and a few bits of window dressing are not going to do the job. It is evident that this new bill has caused a debate among professionals, but the question remains whether this legislation will meet its aims and encourage more victims to come forward now, now that there is a clearer statutory definition for the term. This is something that will only be evidenced with time. Nevertheless, the Prime Minister for her part has assured us that the new Domestic Abuse bill will lead the way in bringing about the changes are sorely needed.